Hiring a professional for pest control service does not mean you can just simply call for service, then sit back and wait. Effective elimination requires a partnership between the professional pest control operators (PCOs) and the homeowner, with both taking action to get the pests out–and them keep out. While the preparation required of the homeowner is fairly standard, most PCOs will provide you with a list of specific prep steps to be completed prior to their visit. Because a lack of preparation could make a treatment unsafe or cause reinfestation of the entire home or building, many PCOs will not treat areas that are not prepared to their specifications. 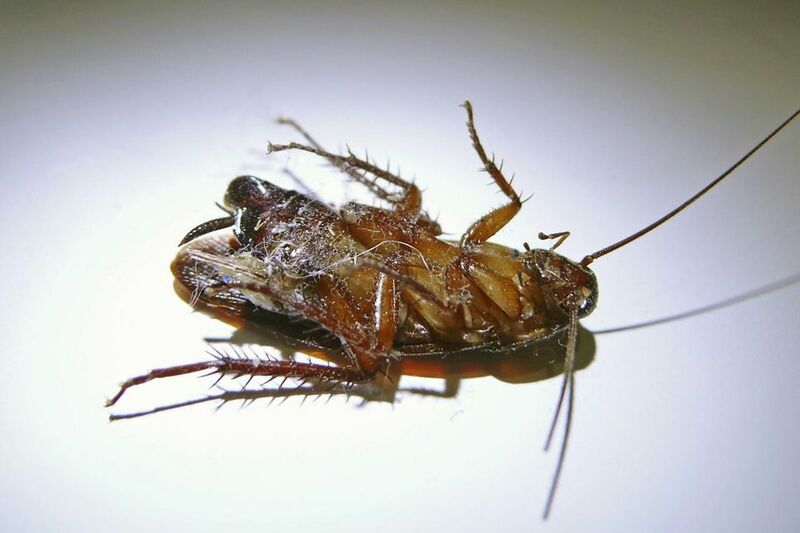 Today, professionals most often use gel bait insecticides to control and eliminate cockroaches. This requires the placement of small beads of gel bait in areas where cockroaches are known or expected to harbor, travel, or feed. In addition to cleaning your home prior to the pest control visit, you should commit to keeping your home as neat and clean as possible for long-term success. This helps to eliminate food sources for the insects, making the bait more attractive. If anyone in the home has special allergy problems, is pregnant, or is under the age of one, the PCO should be informed prior to service. All people and pets should stay out of the area being serviced for as long as specified by the PCO. Similar to cockroach control service, professionals often use gel bait insecticides to control and eliminate small ants. This requires the placement of small beads of gel bait, primarily in areas where ants have been seen feeding or trailing. This bait may be placed on small pieces of cardboard or another holder, or it may be contained inside an ant bait station. Basic preparation steps include cleaning up spills, thorough vacuuming, and storing food in ant-proof containers or in the refrigerator. The sighting of even a single mouse or rat in your home can mean that there is an entire family (with aunts, uncles, and other kinfolk) living in your home's basement, in the walls or floors, or in and around stored items. There are several ways to get rid of the mice and rats yourself, but there are also likely to be times where it's better to call on a professional. To ensure the treatment is as effective and long-lasting as possible, start by repairing all holes in walls and along baseboards and sealing doors that don’t close properly. Also, remove all items from the top of the refrigerator and from beneath the kitchen sink to provide clear access to these areas. Remove all bedding (sheets, covers, dust ruffles, etc.) from the mattresses and box spring in all bedrooms. Wash all bed linens in the hottest water possible. Do not replace the bed linens for at least four hours after treatment, or as instructed by the PCO. Remove all personal items, including clothes, toys, shoes, stored materials, etc., from the furniture and floor throughout the home. Knowledge of termites can help homeowners detect problems and understand control methods, but because of the special expertise and equipment required for elimination, it is generally recommended that termite control is left to professionals. This is also due to the different species of termites and the specific techniques needed for control of each. For example, subterranean termites nest near or below ground, while dry wood termite nests are found above ground. Regardless of the termite species, PCOs typically recommend that homeowners prepare for service by moving all furniture, appliances, or stored materials away from all interior walls by at least 3 feet (where possible) in areas designated by the technician as needing treatment. If closets are to be treated, clothing and other contents should be removed or covered to protect them from dust caused by drilling into wall and ceiling surfaces during treatment. What is the Correct Method to Eliminate Drain Flies?